Hey! My name is Houria and I am a masters degree student at the Faculty of Arts and Human Sciences in Marrakech. At the end of the third semester (the end of January), I had to apply for an internship that will be the base of my graduate research. I quickly found myself holding an administrative position in a company, but after one week, I decided to look for another internship because I simply was not happy there! When I joined the High Atlas Foundation, I easily integrated with the team as well as the activities that demand sharing parts of your days with others. I read once that the beauty of life does not depend on how happy you are but how happy others can be because of you, and HAF lives by this concept while sustaining prosperity around the country. Among the activities that I run within the foundation are distributing and planting trees in rural primary schools. 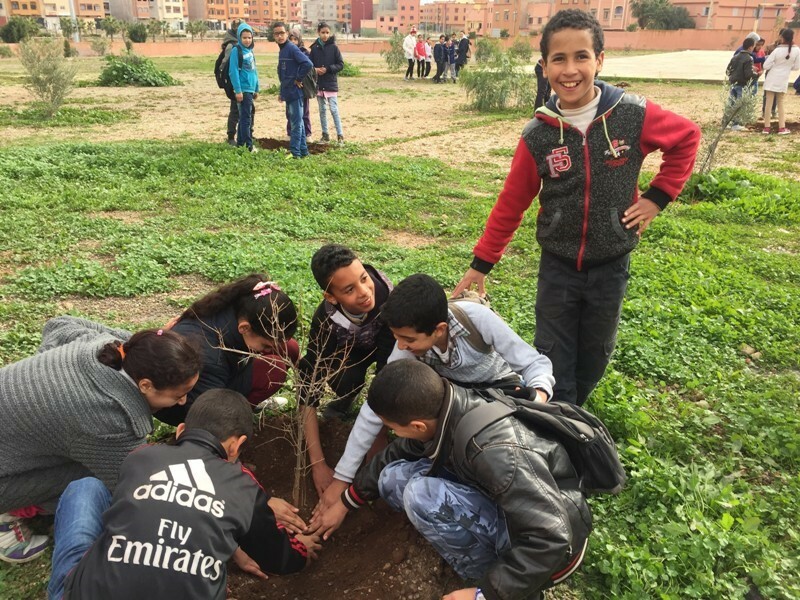 It is a special feeling when you visit a school and meet the students, talk to them about the environment, encourage them to take care of little things and then plant trees with them. This exact act of spending time with them and bringing new notions to their world makes their day, and this is truly something to live for. At the end of the day, you get a sense of accomplishment and purpose to know you have made a change in someone else’s life. Another act of making others happy is meeting and fulfilling the young people’s needs and priorities. HAF has always aims to address water access challenges for rural schools and communities in Morocco. 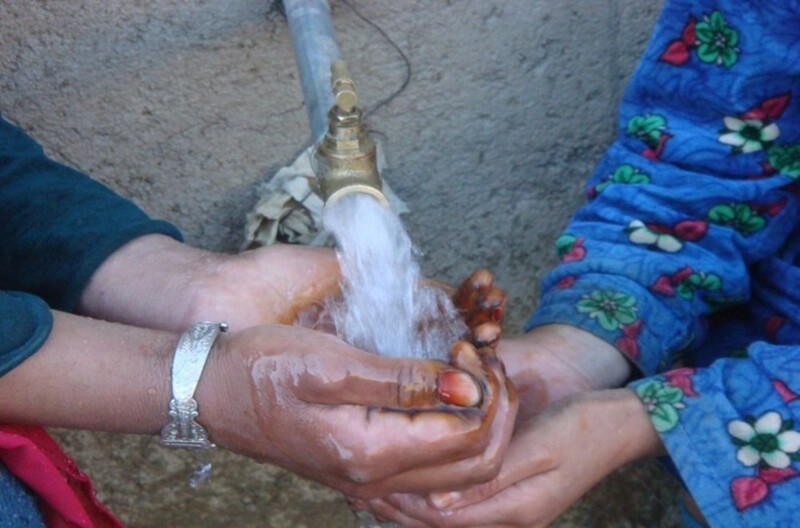 Since its start, HAF and its partners have built 24 clean drinking water systems in Morocco’s remote villages, benefiting approximately 5,500 people. These include digging wells, building water towers, and installing solar pumps and gravity flow systems, which deliver safe drinking water to communities. Sustainability is also about sharing moments with others, and HAF’s happiness lies in making its staff, volunteers, and interns experience this joy by giving them a chance to do so. Give yourself that chance and be happy!